As a community of faith, Saint Luke's strives to care for its fellow parishioners in times of need. While clergy are, of course, instrumental in providing pastoral care to parishioners, lay pastoral care teams are made up of parishioners who comfort parishioners in need with cards, food, flowers, fellowship, and Eucharistic visits. If you or someone you know is in need, please contact the church office at 731-424-0556. 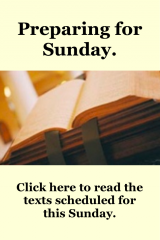 Parishioners and loved ones are prayed for during weekly services and are listed in the Sunday bulletin for the parish community to hold up in prayer during the week. An email prayer list is available to those who wish to receive immediate news of a prayer request.